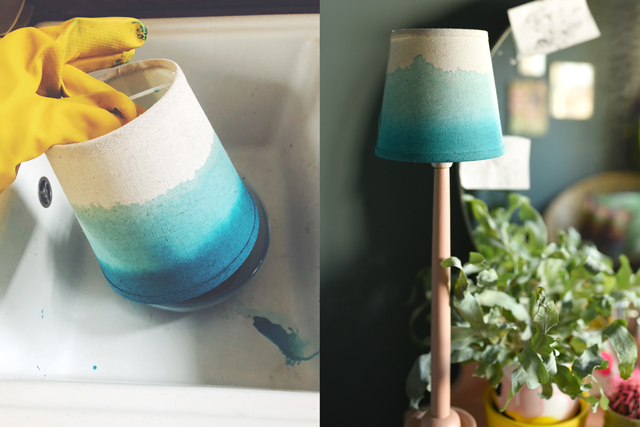 Here’s a quick project that can spruce up a beige lampshade. 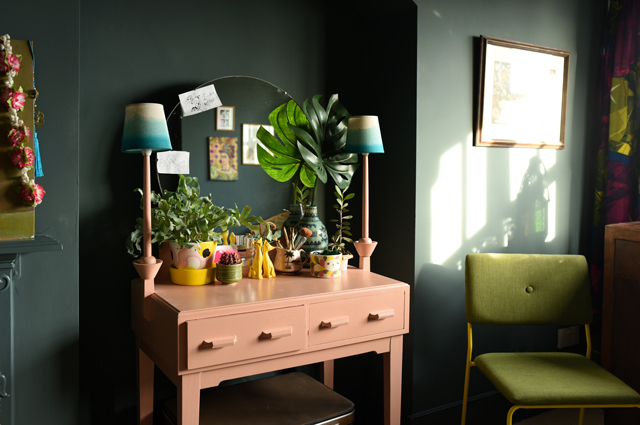 I made this because I was sick of looking at two beige lampshades on my vintage dressing table. I’m not a huge fan of beige. In our brightly coloured boho bedroom, they looked like the square neighbours had turned up to ask us to keep the noise down. A fabric covered lampshade in a pale neutral tone – it works best if the fabric has a high cotton content, otherwise, it might not take the dye well. 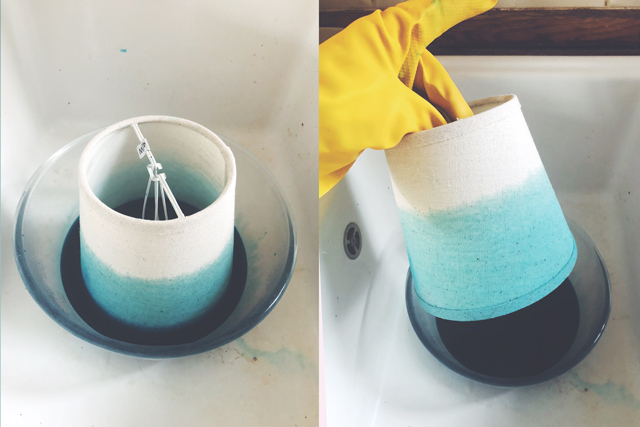 Make a bowl of hot water and dye. 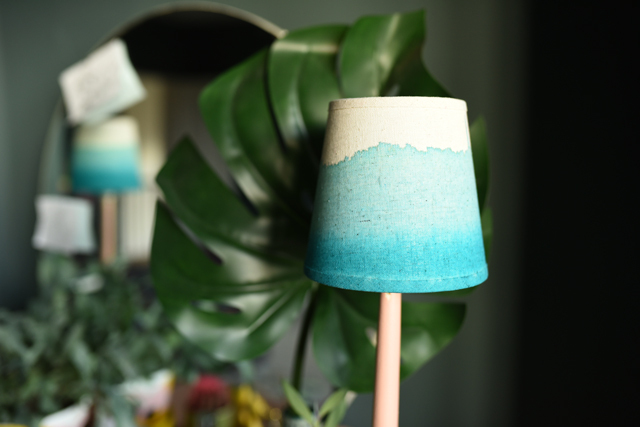 The bowl should be as deep as 1/3 of the height of the lampshade. Place your lampshade in and watch the dye climb up the fabric – mine took about 10 minutes. 3. After a while, take it out and place it in another bowl which has stronger dye, but is more shallow. 4. Leave it in for another 10 minutes, or until you’re happy with the colour fade. 5. 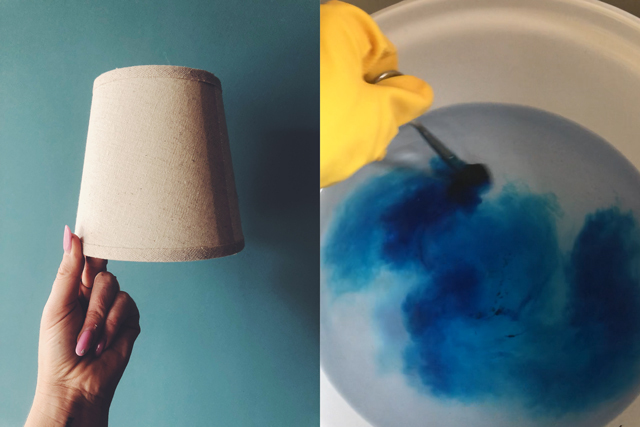 Now dry it with the hair dryer, otherwise the dye will continue to travel up the lampshade. Like the wall colour? See my post on going to the dark side.